We all face pressure to fudge in our jobs: You have to sign that you have read and understand a long document that nobody has time to read, or you have to report figures for something that nobody has tracked so the best you can do is guess-timate. 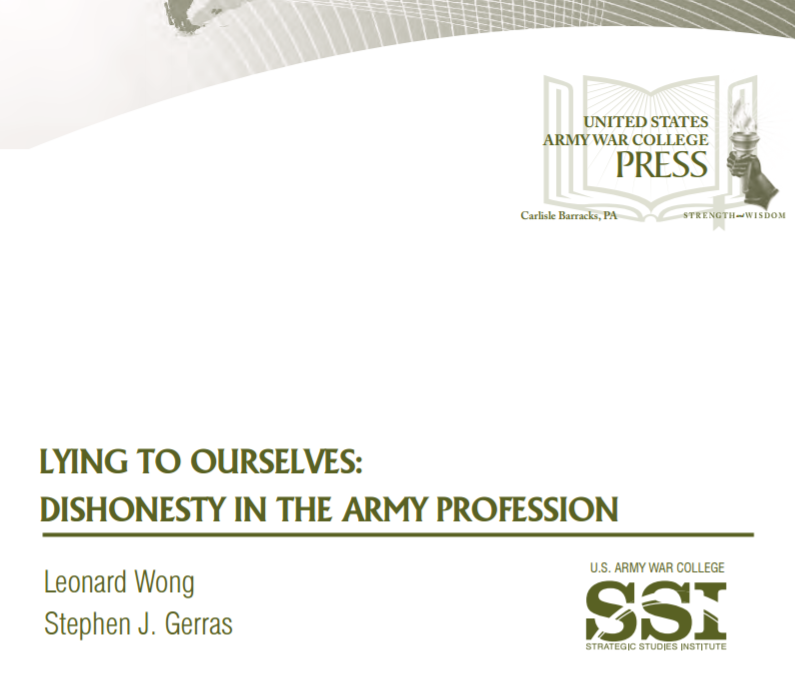 Wong and Gerras studied how U.S. Army officers are routinely required to misrepresent, how they cope with it, how pressure to lie undermines the Army’s effectiveness, and what can be done. We will start the discussion with Wong and Gerras’s book, and move on to talk about the problem in other organizations, how we can cope with pressure to misrepresent in our own jobs, and possible broader solutions. Join us for a discussion that will help us deal with the kinds of situations we all encounter. The book is short–just 35 pages excluding frontal material. Click here for a free PDF download. Or click here to buy a printed copy. The event is free for everybody, but some spaces are reserved for ASPA NCAC members. Space is limited, so please RSVP.